With the help of MAROTTA/MAIN ARCHITECTS, classrooms and support facilities for different age groups are clustered in private instruction wings. 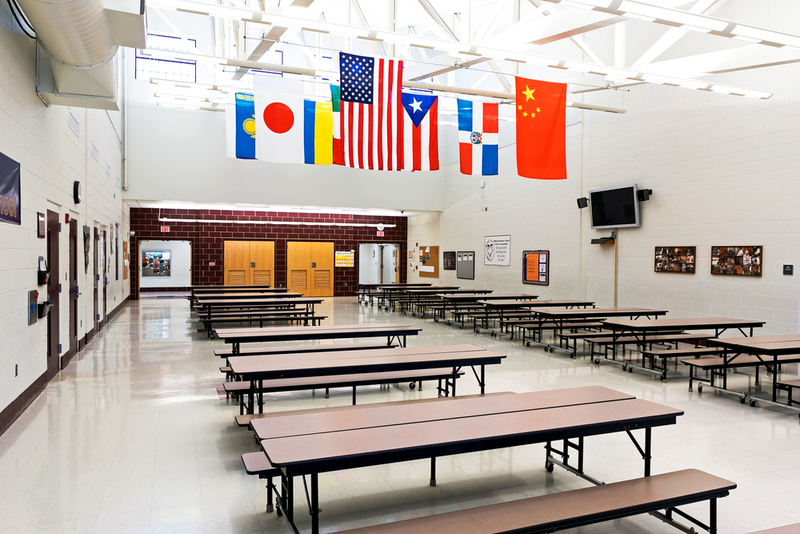 A central community spine links the wings, so students of all grade levels can interact in shared areas, like the cafeteria, media center, and specialty classrooms. Not only does the school benefit students, it also provides opportunities for community growth and development. Facilities in the central spine are available to the public after school hours when the classroom wings are closed, which provides a safe environment. The instruction wings surround an exterior courtyard, giving all classrooms access to natural light and views of the adjacent wetland protection area. An amphitheater creates a flexible outdoor educational space and sculpts the sloping courtyard.